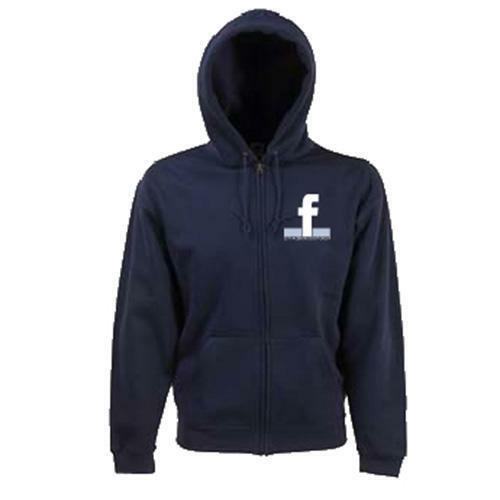 Navy zipped Hoodie with the 1st Facebook Scout Group logo embroidered to the front left breast. £1 from the sale of this item will be donated to a charity - as decided by the 1st Facebook Scout Group. Full zip hoodie with a covered main zip. Right hand side pocket has a small hidden opening for ear phone cord feed, and hidden ear loops around the neck. Select... S - 36" M - 40" L - 44" XL - 48 2XL - 52"